Your data tells a story. Tell it with R Markdown. 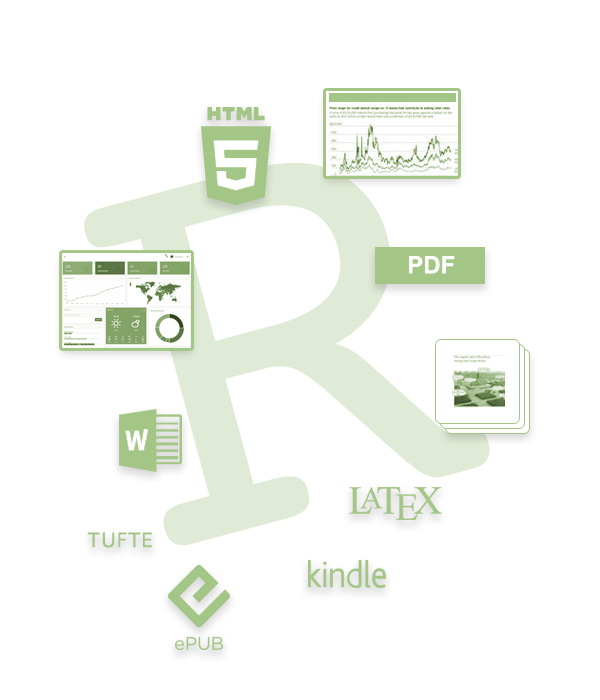 Turn your analyses into high quality documents, reports, presentations and dashboards. 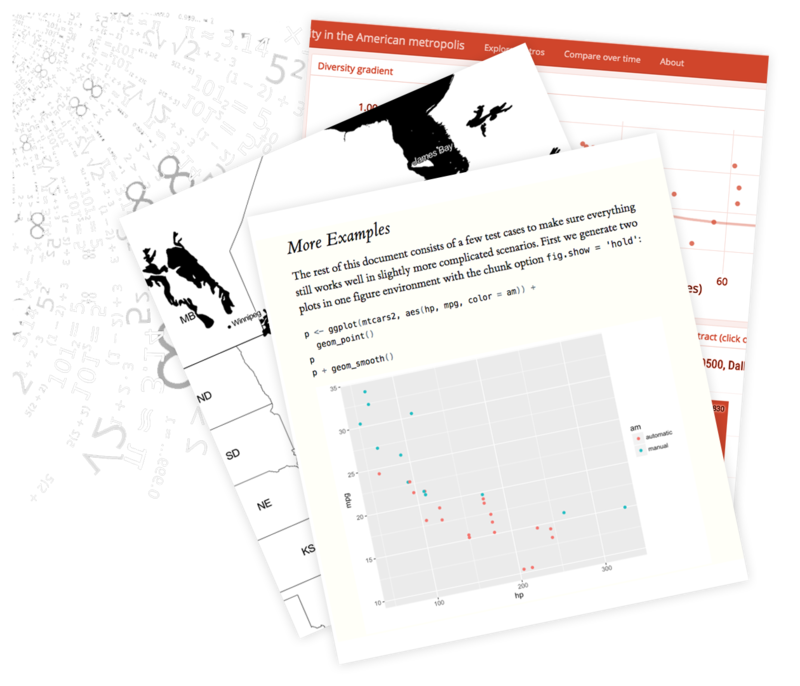 R Markdown supports dozens of static and dynamic output formats including HTML, PDF, MS Word, Beamer, HTML5 slides, Tufte-style handouts, books, dashboards, shiny applications, scientific articles, websites, and more. Need R Markdown in production? 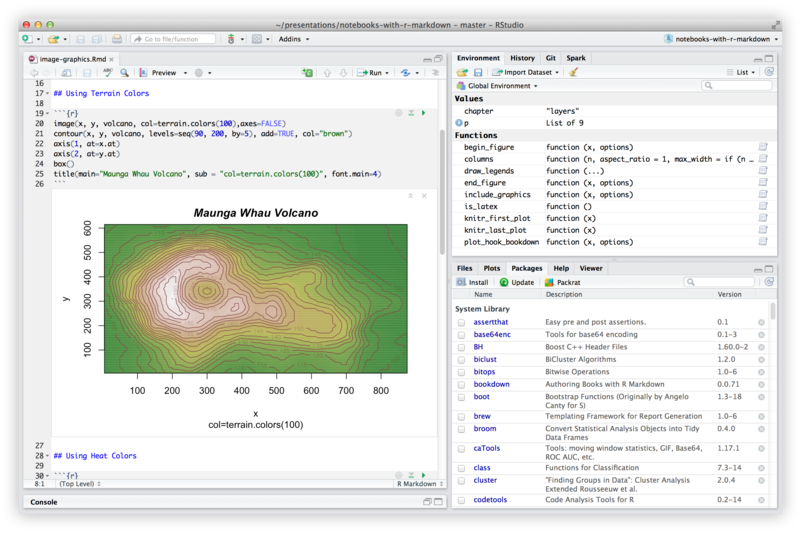 Learn how to publish and schedule reports, enable self-service customization, and distribute beautiful emails using RStudio Connect.